Blast your hair with texture, without the stickiness of a paste. 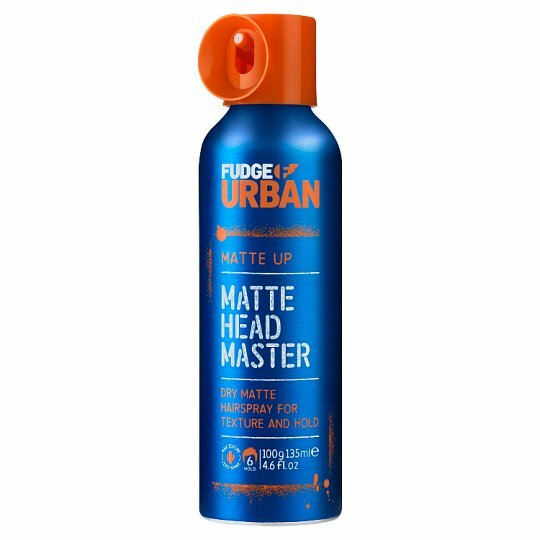 Fudge Urban Matte Head Master allows you to create strong hold textured, dishevelled looks with a super dry matte finish. Directions: Shake well. Hold can 15cm away from head and spray all over for matte texture. Use together with Fudge Urban Matte Wax for additional hold and control.